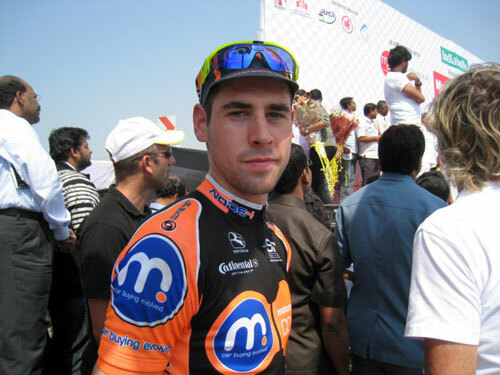 Jonny McEvoy made a big impression in the Tour de Mumbai this year, launching himself to third place in the Indian race behind winner Robbie Hunter. 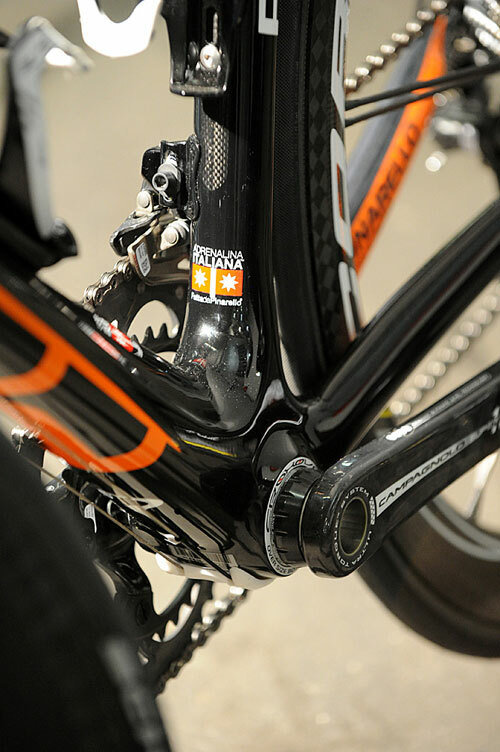 McEvoy’s Motorpoint team joined stars from the US-based Proteams RadioShack and Liquigas-Cannondale, plus fellow British squad Endura at the race. 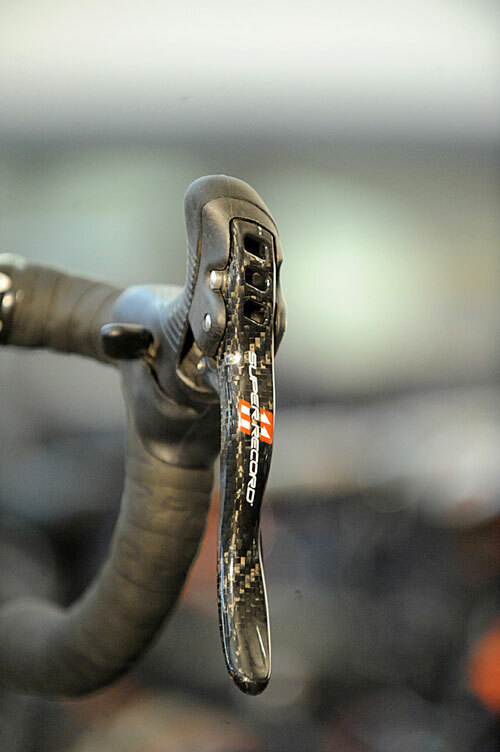 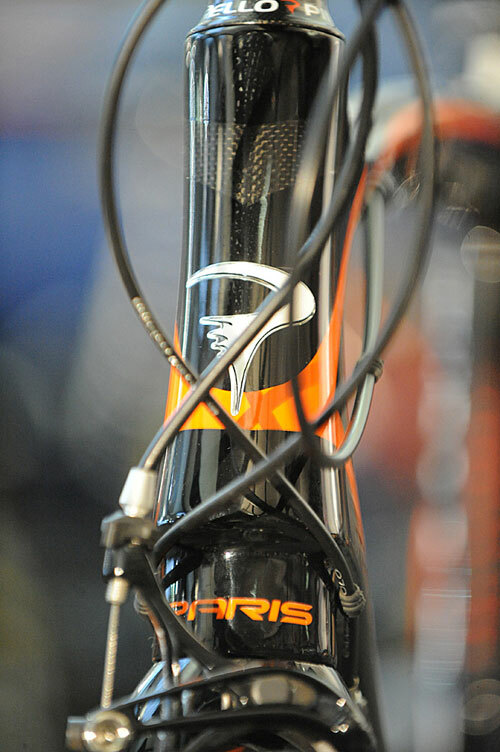 McEvoy was piloting one of Pinarello’s 2011 Paris bikes, and we took the opportunity to take a close look at his ride during the recent 2011 Motorpoint team launch in Derby. 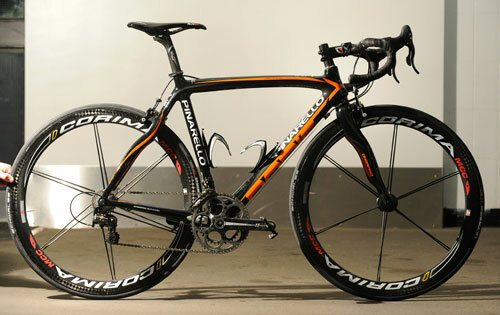 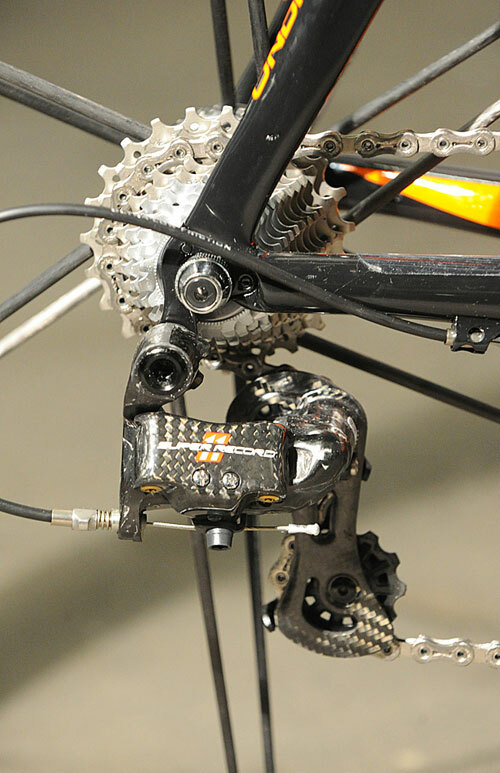 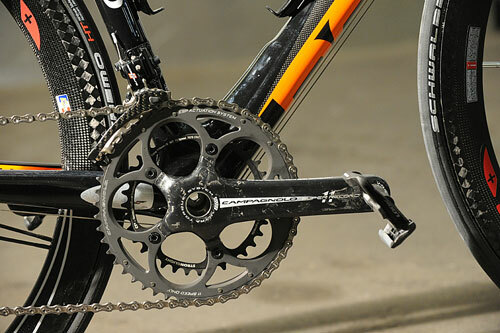 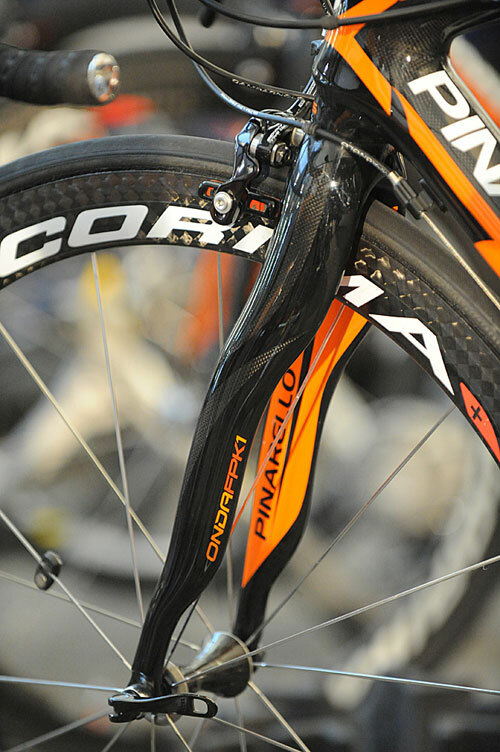 Finished in Motorpoint’s distinctive black and orange livery, the Paris is equipped with Campagnolo 11-speed Super Record groupset, sparsely-spoked carbon-rimmed Corima Aero+ MCC wheels and Pinarello’s in-house MOST finishing kit.